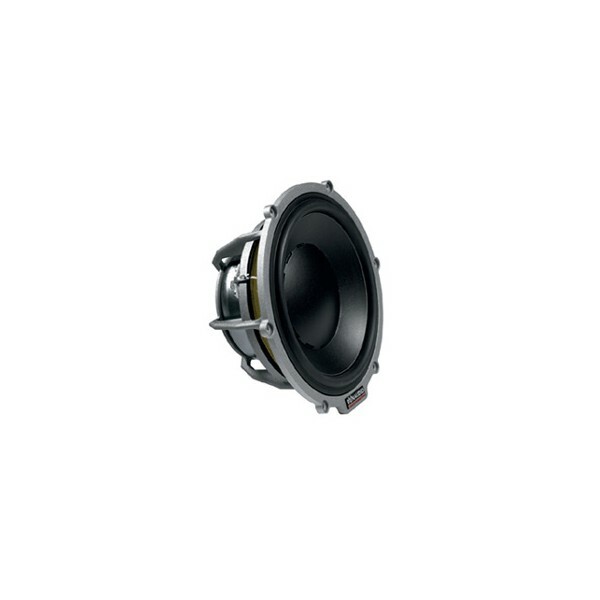 The 17 cm (6.5") diameter Esotar midrange/bass driver relies on the rigid, die-cast solid aluminum frame and Dynaudio�s characteristic MSP (Magnesium Silicate Polymer) diaphragm. The voice coil diameter is exceptionally large at 75 mm, but by using extremely light aluminum wire wound on a Kapton former, the coil remains extremely lightweight. In conjunction with the powerful neodymium magnet, this low-mass driver construction provides excellent transient response, speed and precision.